Wanna One member Ha Sungwoon is exercising hard to keep his promise to fans to show off his abs, he said on V Live on Saturday. Ha aired the livestream for nearly 1 hour with bandmate and roommate Hwang Minhyun. “I have been working out for 3 months now. It starts to show,” he said, adding that he weighed 53 kilograms that morning, 6 kilograms less than last time he checked. “Sometime ago, I accidentally made a promise to show my abs. I am trying to keep that promise." Ha also said he was thinking about starting Instagram as their activity as Wanna One nears to an end. Wanna one, a group formed through Mnet’s K-pop competition “Produce 101” in 2017, officially disbanded on Dec. 31 and will hold their last concerts at the end of this month. “Members have started to open their individual Instagram accounts,” Ha said. Bandmate Kang Daniel became the fastest person to reach a million followers, beating the Pope. He started Instagram on Jan. 2. Watch the broadcast at https://www.vlive.tv/video/108703. Lee Chae-yeon of girl group IZ*ONE treated fans to a special dance broadcast on V Live on Saturday. “Yesterday was my birthday and so many people wished me a happy birthday. This is a gift to you all,” she said, introducing the livestream. She asked viewers to recommend songs for her to dance to. The dance session opened with Chung Ha’s “Gotta Go,” and moved on to Monsta X’ “Shoot out,” when bandmates showed up for a surprise birthday party. 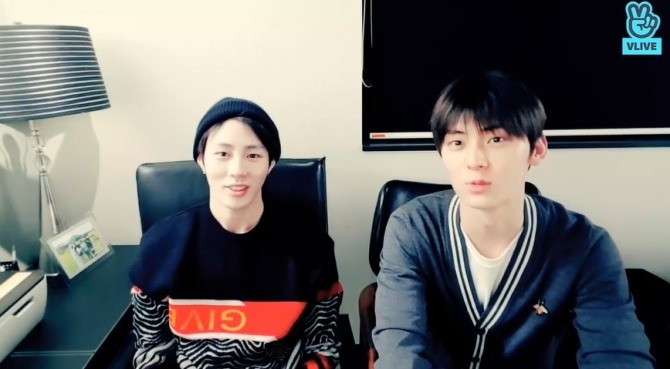 Three members of NCT, all born in 2000, aired a V Live broadcast on Saturday, asking fans what they could do to celebrate their becoming a grown-up in Korea. Renjun, Jeno and Jaemin, who are legally 19 years old, said they turned 20 with the start of 2019 by the Korean standard. Under the Korean age system, a baby just born is 1 year old and on Jan. 1 of the next year he or she is 2 years old, making a difference of 1 or 2 years to one’s international age. “Haechan, (also born in 2010), couldn’t be with us today. So we made an avatar of him here,” the members said showing a picture of the bandmate. The trio said the purpose of their broadcast -- 14 minutes long -- was to ask fans to recommend things that they can do on V Live to celebrate the coming of age. “So please make suggestions. 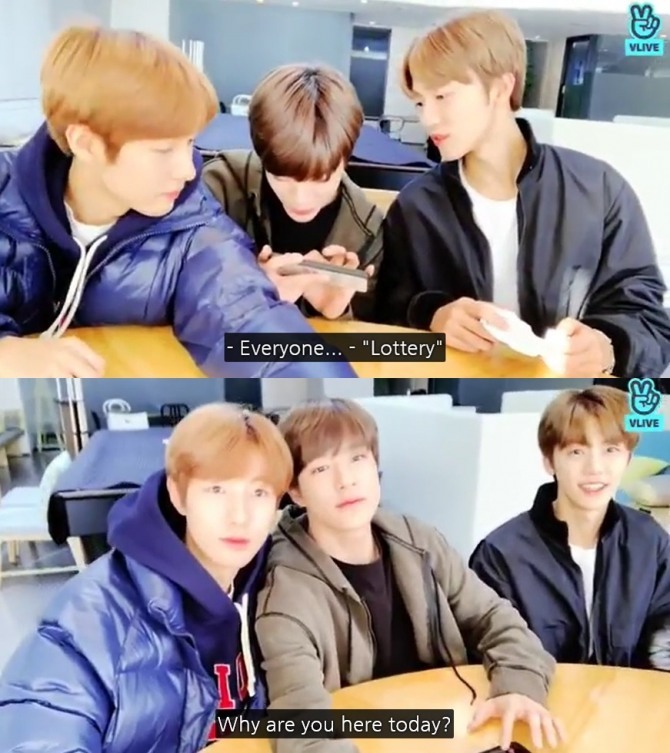 Leave comments!” Renjun said. “We will do that on V Live," Jaehyun said. Watch the broadcast at https://www.vlive.tv/video/108677.